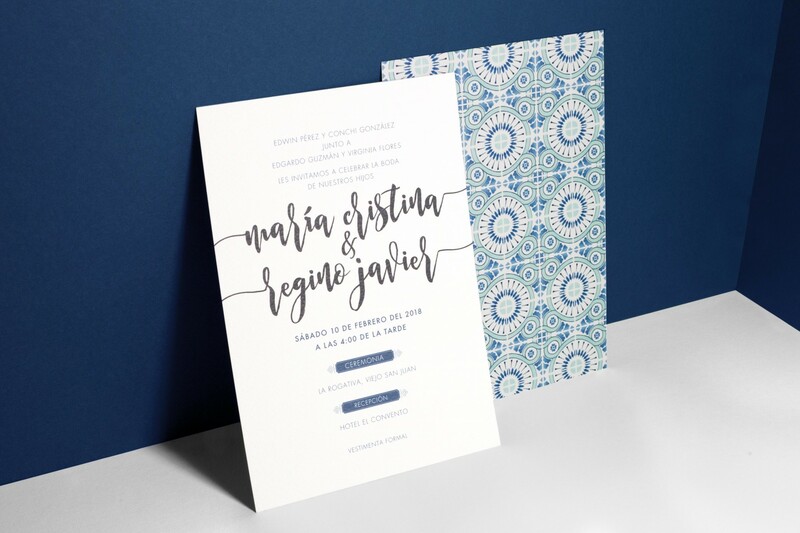 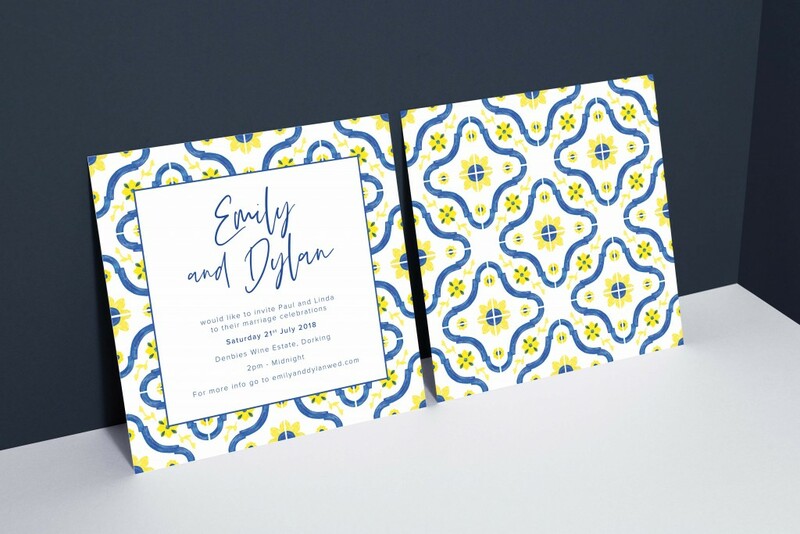 The Cafuné wedding invitation is based around a beautiful Portuguese tile repeat pattern which has been hand-painted using watercolours. 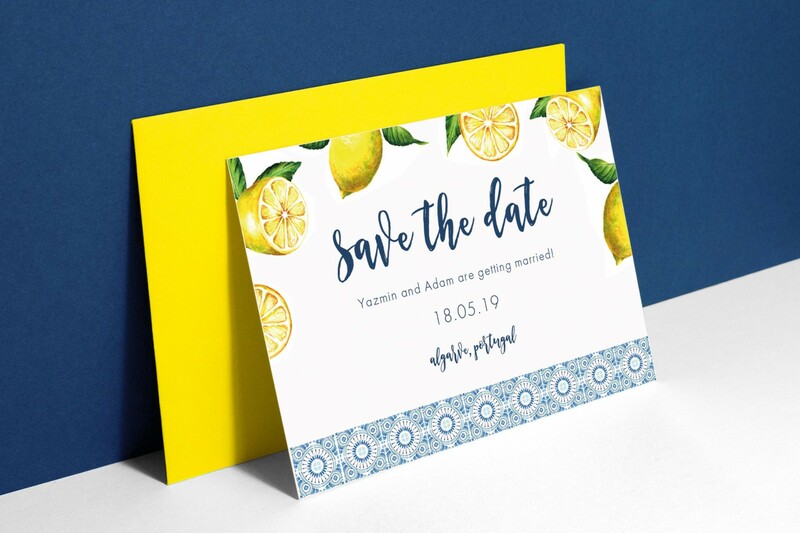 This set has been adapted into different designs featuring other decorative elements such as lemons and even Portuguese roosters! 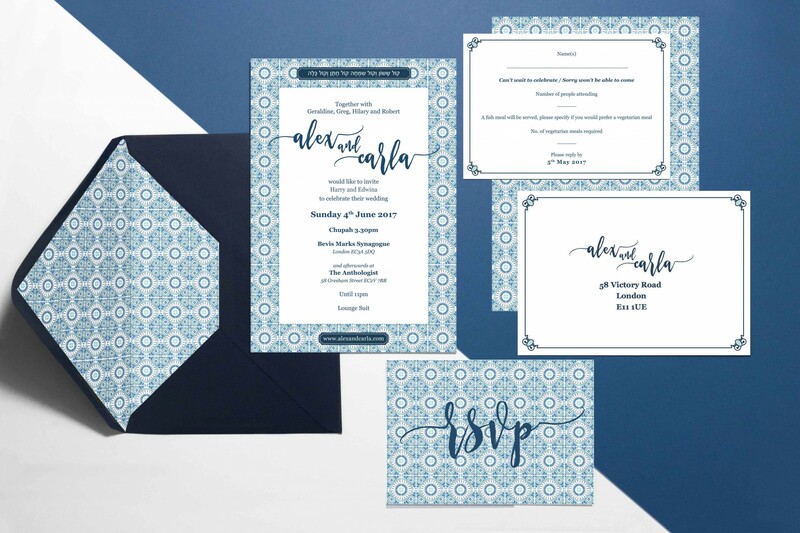 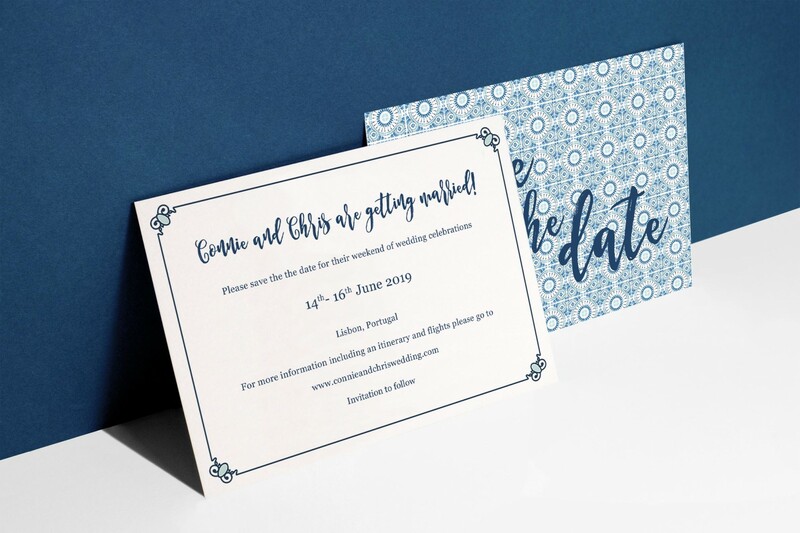 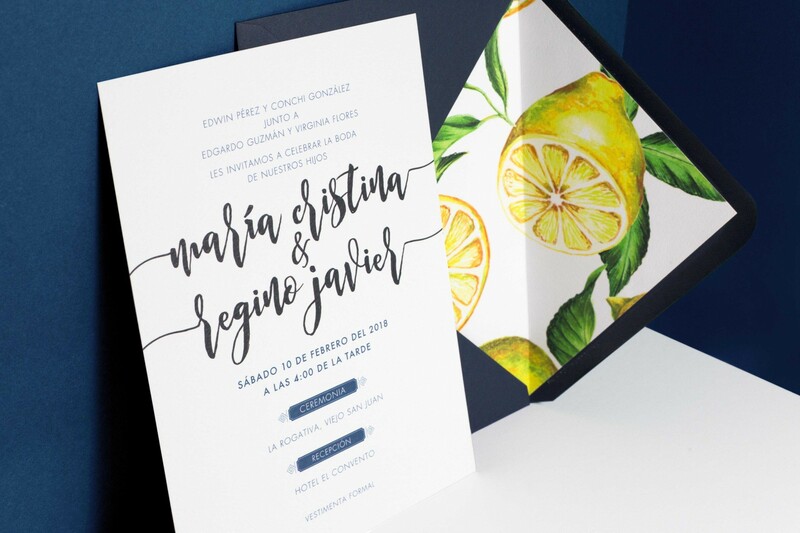 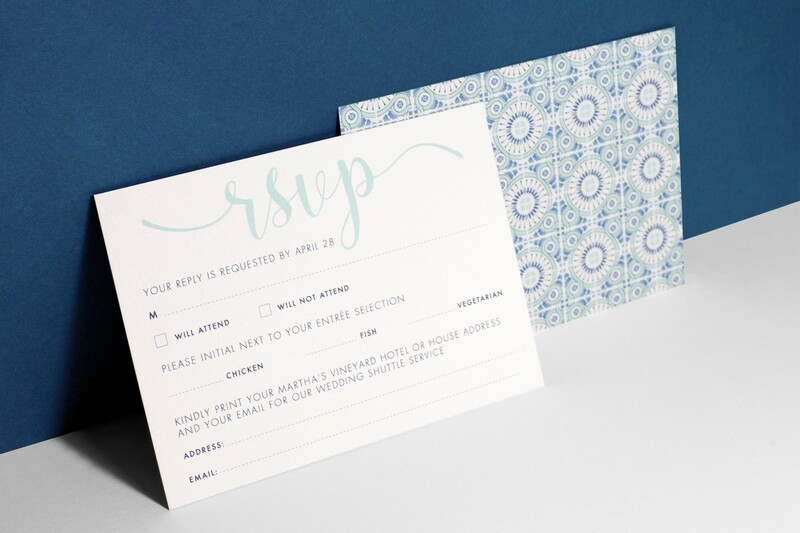 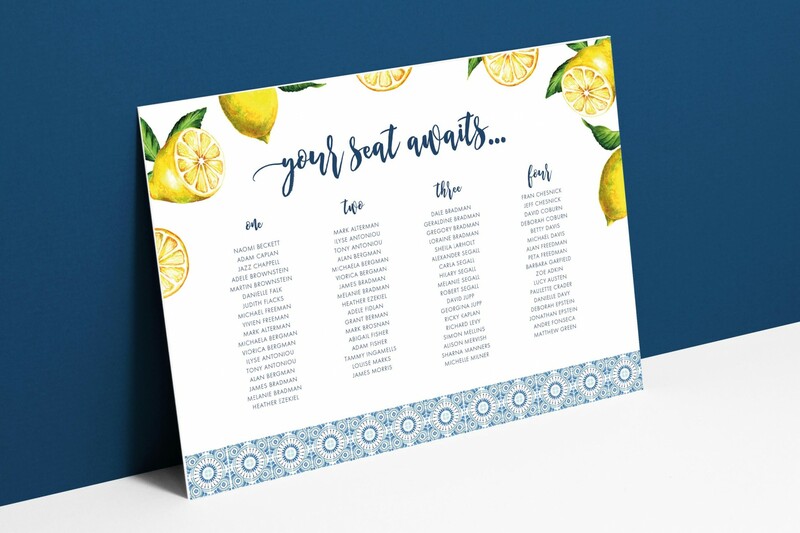 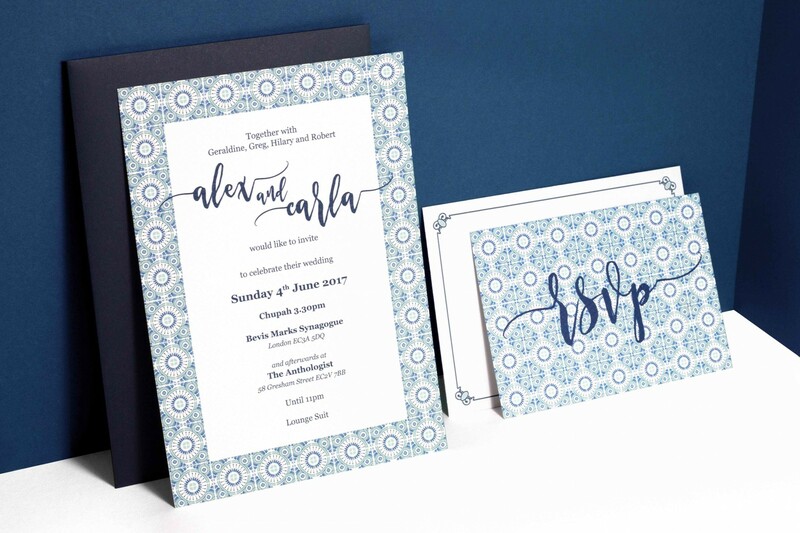 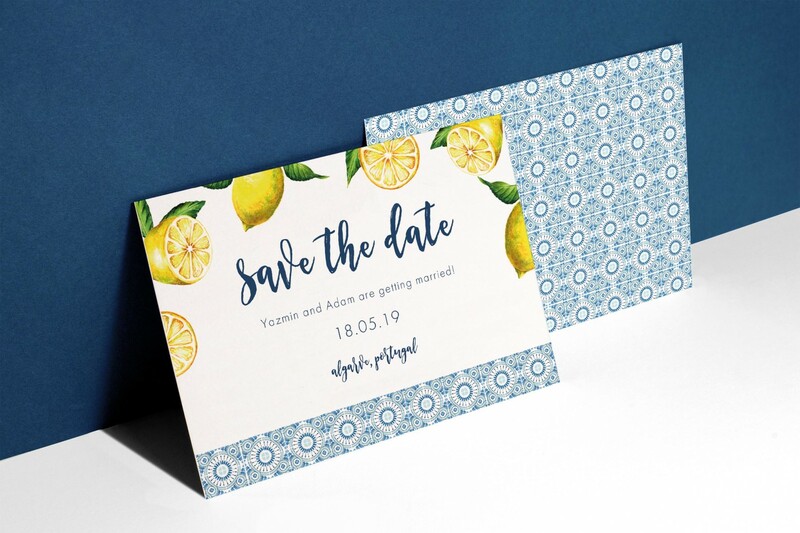 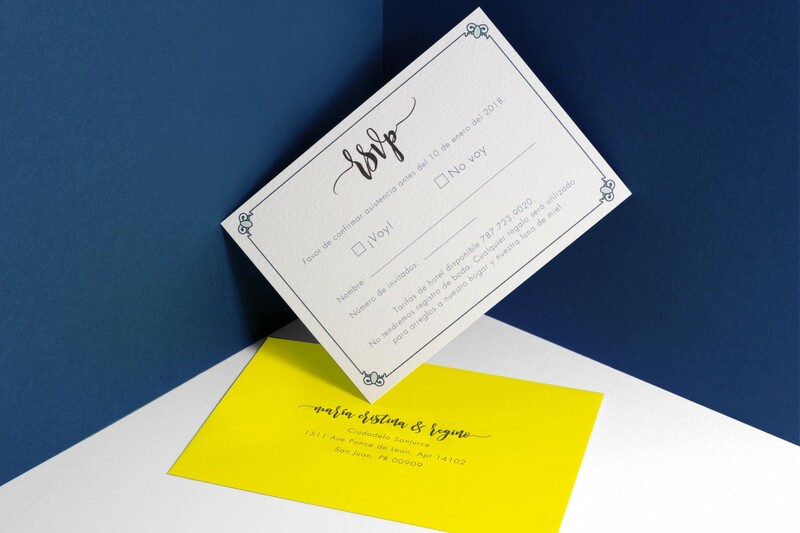 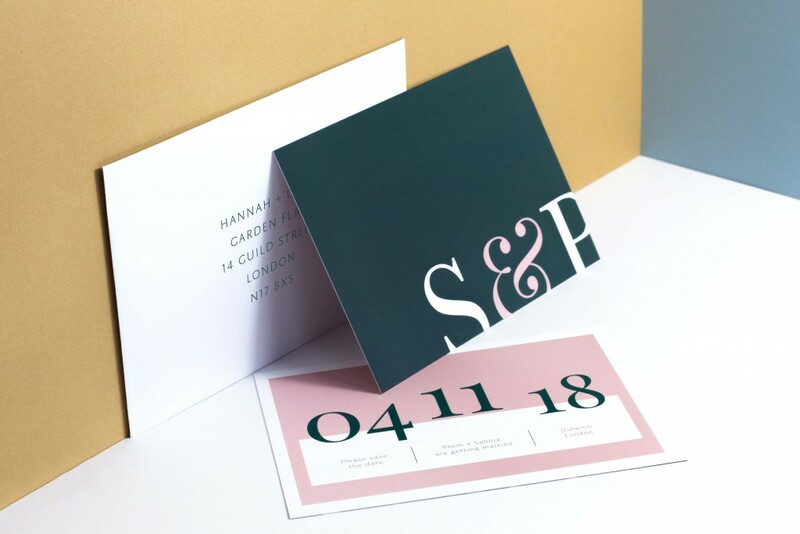 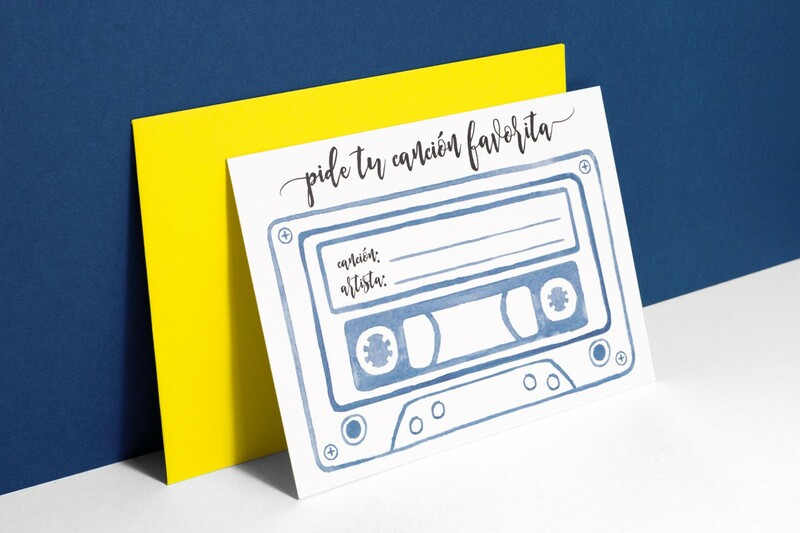 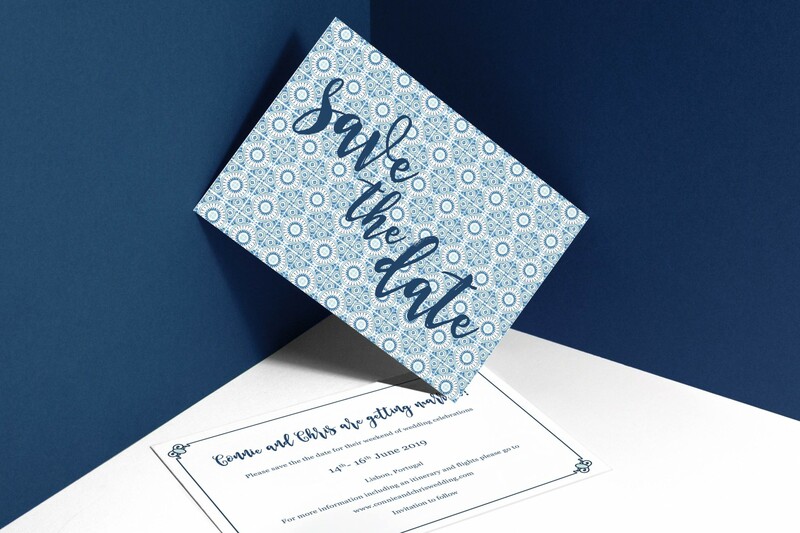 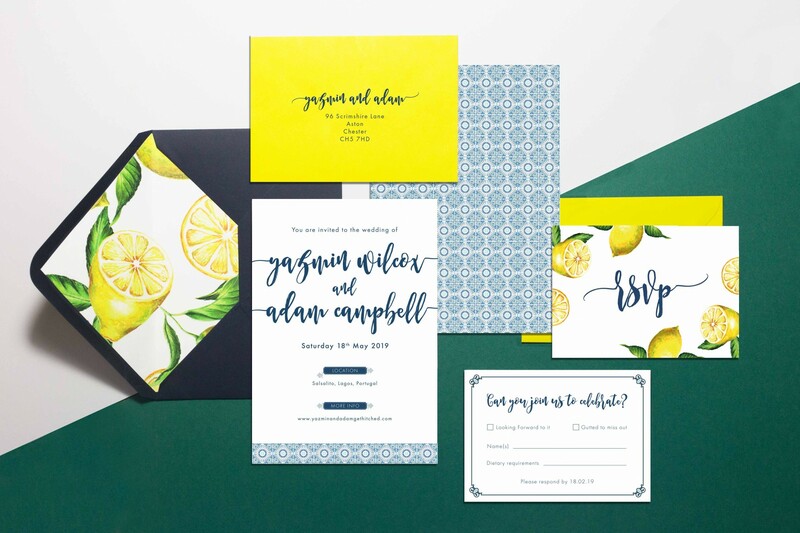 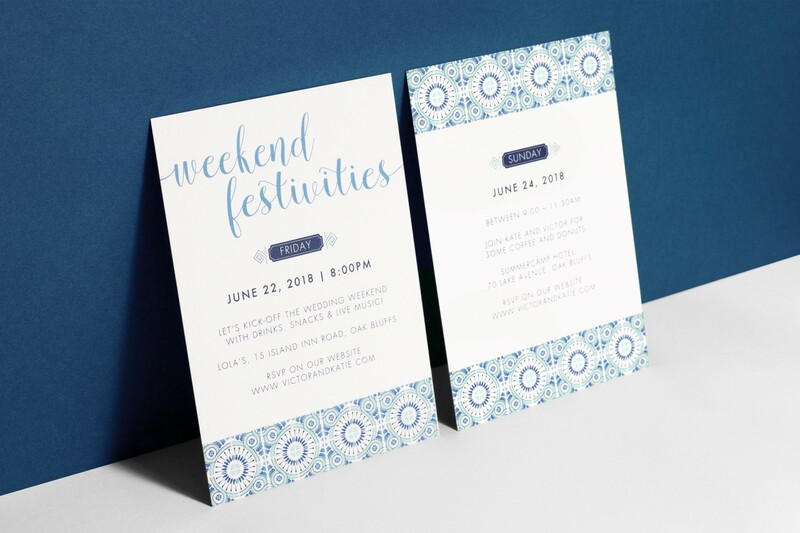 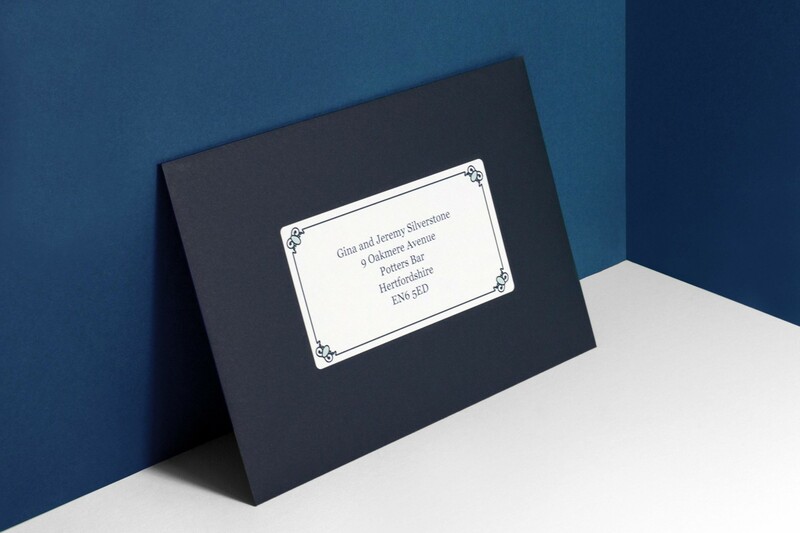 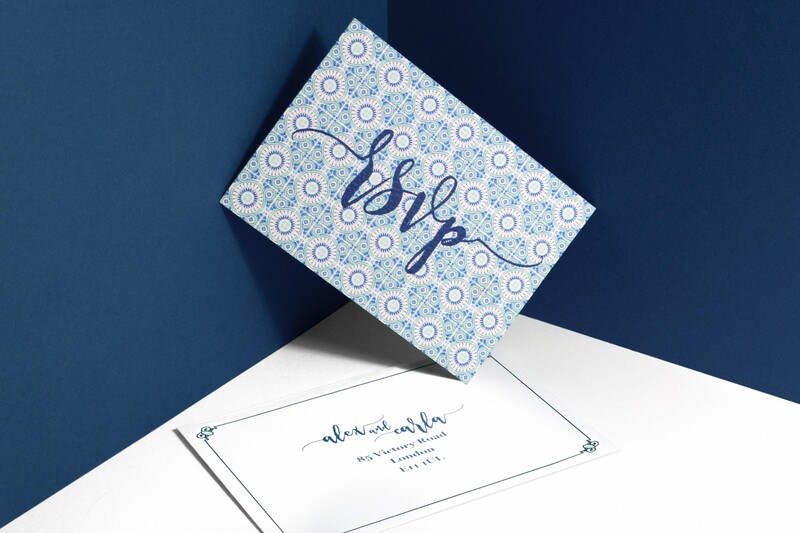 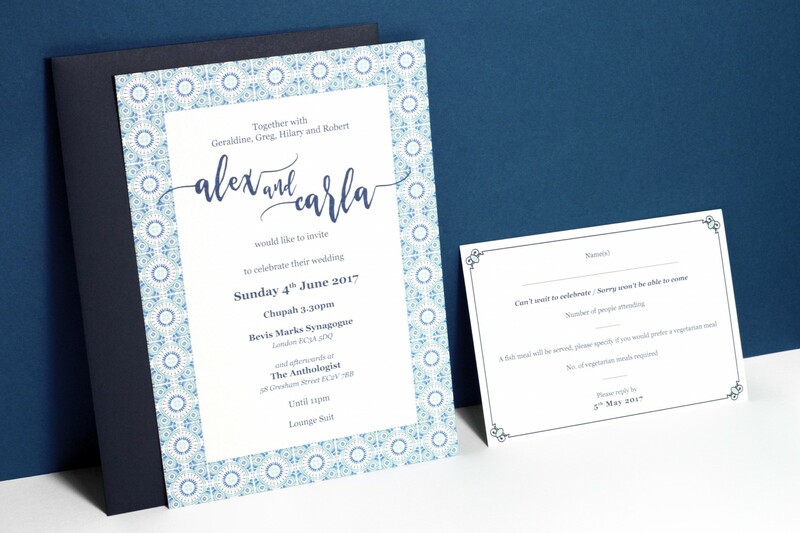 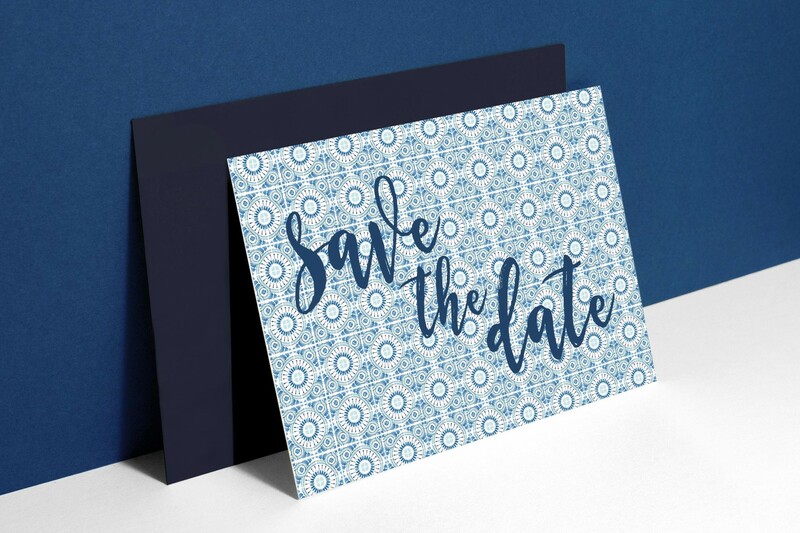 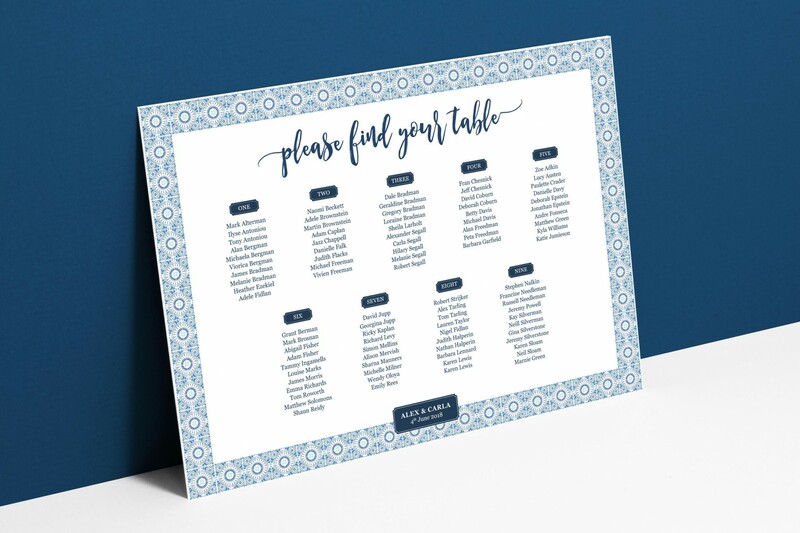 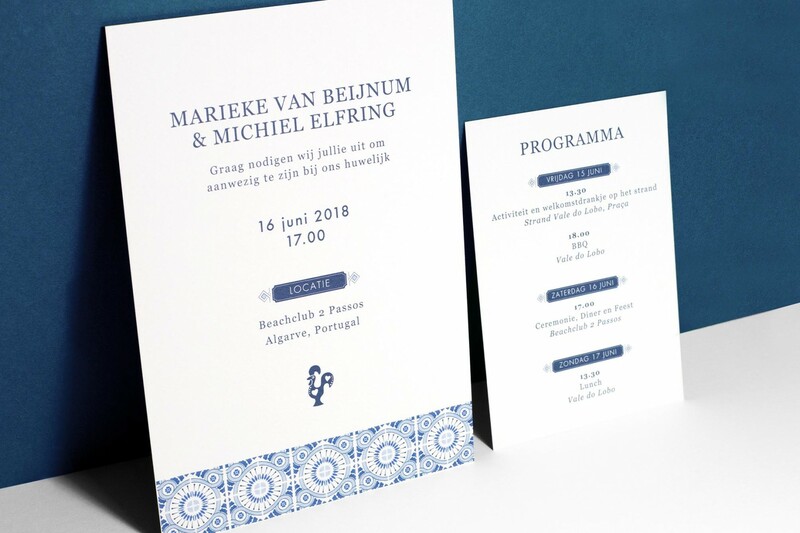 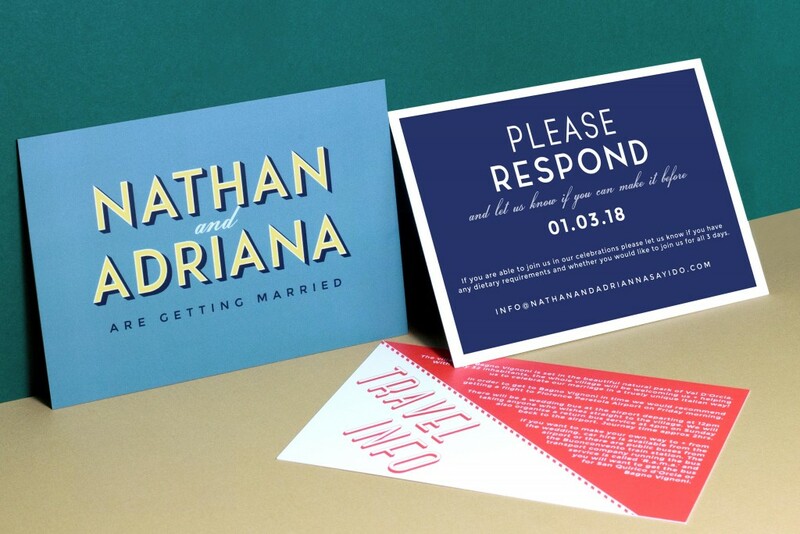 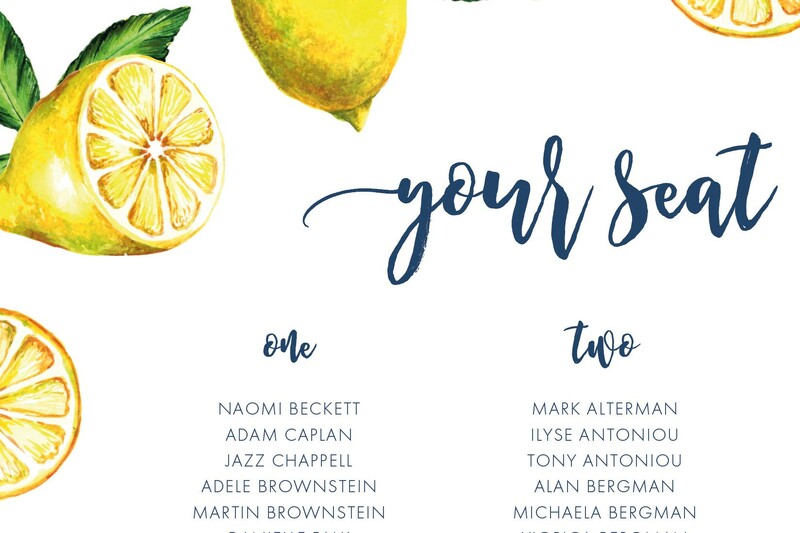 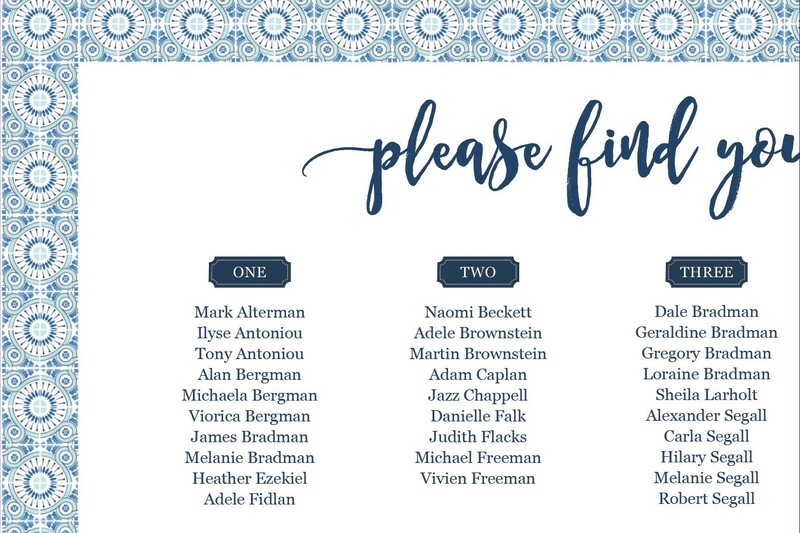 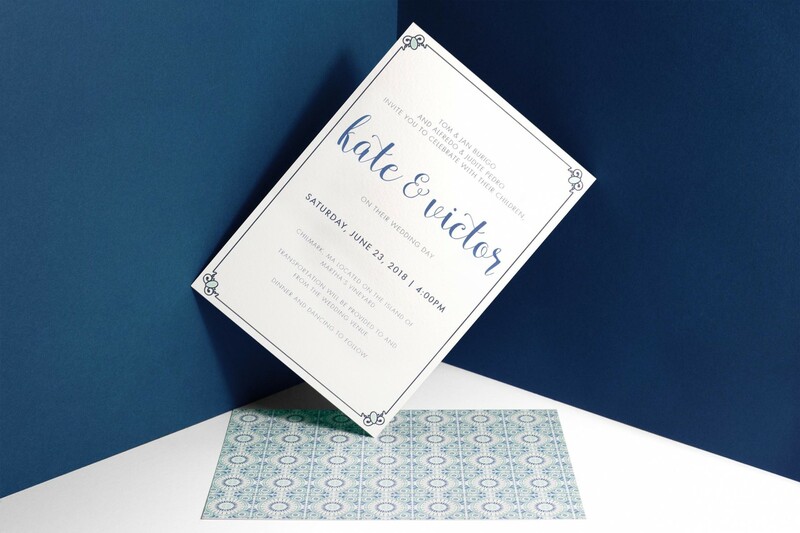 If you have any other ways in which you would like to personalise this design – do get in touch and we can discuss how to make this wedding stationery design match your stationery dreams! 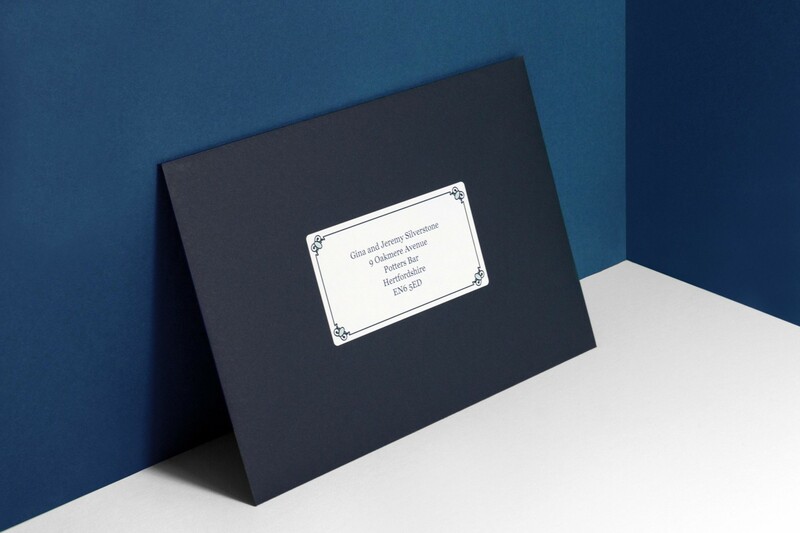 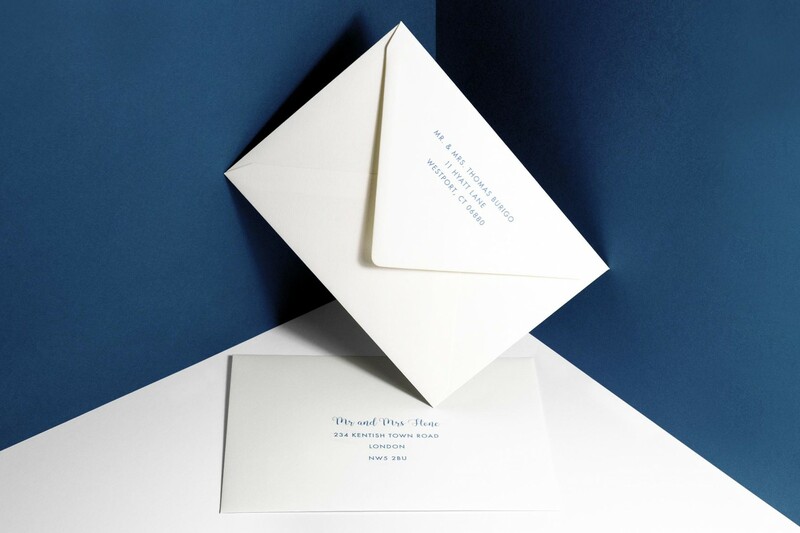 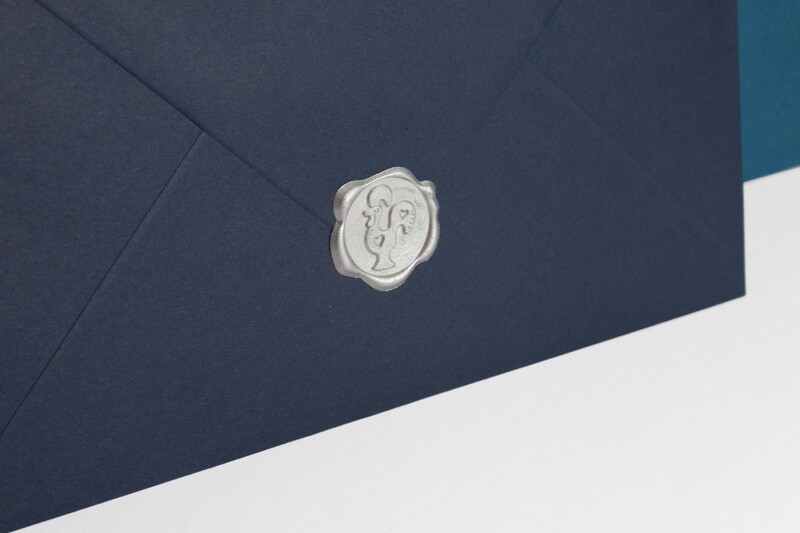 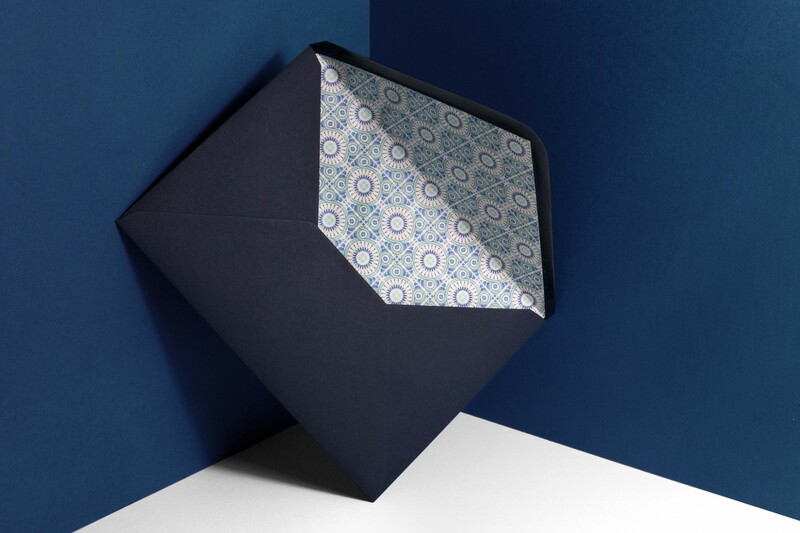 Contains an A5 main card and A6 information card within a navy envelope sealed with a wax seal.